The key is to identify the most important improvements to make, strategically, and focus on those first. It can be tempting to start tweaking the design or wording to try to patch together improvements. But in today's SEO–driven environment, making changes based on impulsive or subjective decisions—what looks good or sounds right to you—puts nonprofits in a repeating loop of ineffective, costly web renovations. Before anyone lifts a finger to resize a home page graphic, add a social media feed, or rewrite the text on the About Us page, make sure you take the following steps. And for more redesign tips, check out this free 10-step web redesign checklist. 1. Analyze your peers and "competitors." Unless your nonprofit is a social enterprise, you're probably not used to thinking of other organizations as competitors. But it can be helpful when planning web improvements to look at the web performance of other nonprofits that are doing a better job than you of reaching your ideal donors, supporters, volunteers, and participants. You can do a quick competitor analysis using HubSpot's free marketing grader. First, enter your URL to get a basic report card of how your nonprofit website is performing today. Next, run other organizations' websites through the marketing grader so you're aware of their strengths and weaknesses. Take a look at their websites, noting what works and what doesn't. The idea isn't to copy them. It's to uncover what you can do better. Once you run the analysis, put together a list of areas in which you’re going to improve and things you’re going to do differently than they are. 2. Create your key personas. Take a break from thinking about how you can raise awareness, tell your story, or change public perceptions, and instead think about the people you want to reach. Create personas describing several of the people who are most important to you. Personas are semi-fictional representations of your ideal advocates and supporters, based on real data about their demographics and online behavior, along with educated speculation about their personal histories, motivations, and concerns. For example, when Yodelpop was building a website for a nonprofit environmental initiative, we helped staff identify and develop their five most critical personas: a community foundation program officer, the director of an energy consulting firm, a prominent local donor, the executive director of a local nonprofit, and a program associate at a foundation. You can use our free persona template to create personas that match your organization's ideal supporters and participants. 3. Develop a pillar page that solves a key problem. Long, authoritative pages that solve a specific problem play a key role in attracting traffic to your site. "Pillar pages are comprehensive guides to a particular topic you're trying to rank for in search," writes Sophia Bernazzani in her HubSpot blog. These pages are content-rich, containing not just text but photos, diagrams / infographics, video embeds, and a mechanism for converting your visitor to a contact (see point #5 below). While a pillar page covers all aspects of the topic on a single page, in-depth reporting is done in blog posts that hyperlink back to the pillar page. For example, you might write a pillar page about child development during the toddler years — a broad topic — and a blog about healthy sleep habits for two-year-olds — a more specific keyword within the topic. 4. Put a blog in your site—and use it. Blogging attracts your ideal supporters to your website and drives them to the pillar pages that solve their biggest problems. Just as important, blogging to your key personas gives you a place tell your story in a way that reaches your ideal supporters and builds your thought leadership. And it allows you to earn trust with “social proof” when your supporters share and comment on your content. Through lead flows and calls-to-action (see below), they convert to contacts so that you can nurture their connection to your organization and encourage them to donate or get involved in other ways. 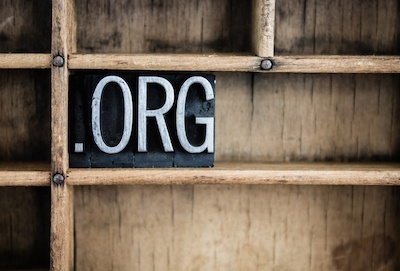 Check out these nonprofit blogging success stories for inspiring examples. Also, our nonprofit blogging ebook and on-demand webinar share even more examples and concrete steps to making your nonprofit blog a success. 5. Place lead flows, calls-to-action, and forms throughout your site. When your visitors click on a call to action or pop-up form, they get something of value to them, and they provide you with their name and email address so that you can nurture a relationship with them. Your website shouldn’t be a static brochure but should prompt your visitors to do something that further engages them with your organization. When you’re planning a redesign, think about all the potential opportunities for "conversion"—turning visitors to your website into people your organization has a relationship with. 6. Optimize your website pages for search. You may think your site needs, more than anything, to look better. But if your redesigned site is beautiful and no one is finding it, you've wasted your resources. Do keyword research, and for each page, pick one longtail keyword that the page will focus on. Place those keywords in the right places, in the page and its meta data, including page titles, meta descriptions, headings, content, image file names and alt tags, and URLs. If you do plan to redesign your site or launch a new one, make sure your developer first finds out what pages on your existing site have the strongest keywords, the most traffic, inbound links, and keywords rankings. If your redesign calls for moving these highly ranked pages, have your developer create 301 redirects so you don’t lose any of that value. It's possible to make a few strategic moves that boost your nonprofit website's performance immediately. That way, if you do decide to invest in a redesign, you can be sure you're reaching more of your ideal advocates with your fresh new site. If your nonprofit website needs help, let Yodelpop give you a free 30-minute website assessment, including concrete advice for how to improve your site now.